Do I Make Myself Clear? (2017) offers a much-needed look at why clear and concise messages are, now more than ever, so important. There is an overwhelming abundance of content these days, and yet finding the truth has never been more difficult. Politicians and marketing executives use deliberately misleading words that obscure the truth and leave us confused and distrustful. 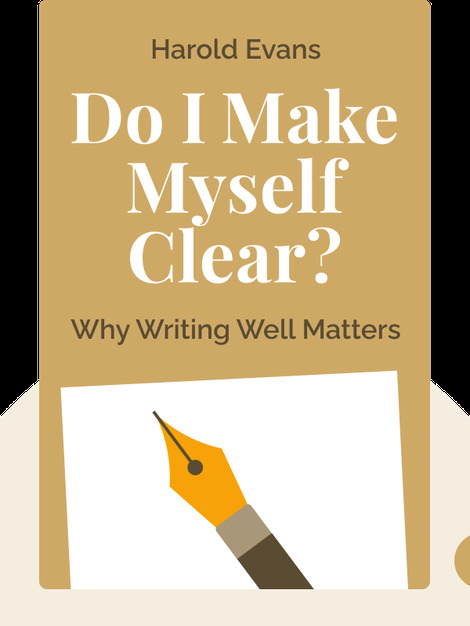 Other times, bad writing simply leaves us scratching our heads. If we hope to better understand the facts, we need more people who can deliver clear and meaningful writing. 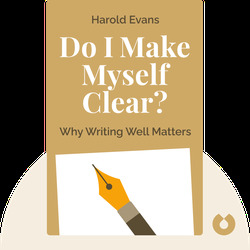 Harold Evans is one of the most respected editors working today. Over the course of his illustrious career, he spent 14 years working for the Sunday Times and seven years as president and publisher at Random House, US. In 2004, he was awarded a knighthood in recognition of his outstanding work as a newspaper editor.